We must voyage into space, the final frontier, to continue our Friday Film Flashback. For me Trek is a social occasion. I watch Star Wars alone most often but Trek? Now Trek gets movie nights and trips to see the exhibition at the Mall of America. See those two gingers in costume…err uniform…yeah we didn’t care we were the only ones there dressed up. We also faked Romulan ale once for a movie night because we could. For the record the blue Boones Farm is nasty and it took two days to get the coconut smell out of my sink and I still blame Beatrix for that. Now why do I love Trek so? Why not be satisfied with Wars? I love the costumes, the insanely twisted yet reasonable plots, the fan theories, Shatner’s overacting, and most of all the sheer brilliance that is the future hometown of the quintessential captain…in Iowa. 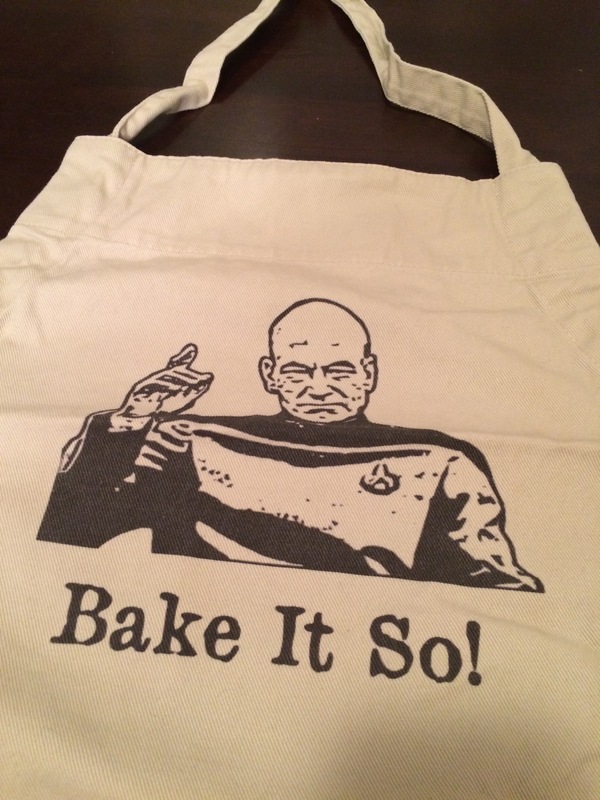 Now I don’t have any Picard coffee mugs (for I need Yoda to help keep away from the Dark Side), I have a Trek apron thanks to the ever amazing Elissa who shared the template she used to make her hubbie one. I love that apron. Many a happy hour has been spent in that apron trying new recipes. And I do frequently, bake it so! For the record I am Team Picard. Mostly based of the movies. Growing up we didn’t have television (but could watch movies on the Apple IIE) so I missed out on that aspect of nerddom till I was in college. Now I have a certain fondness for Deep Space IV. Now at this point you are probably saying, Betty get to the good part! What is your favorite movie? Good question class! But not an easy one. See, while I am Team Picard I also love the new movies (what is not to love about Benedict Cumberbatch I ask you!). But the movie I watch the most often? That would have to be Nemesis. I love the whole nature versus nurture debate, and the lines about tea make me chuckle every time! Earl gray, hot. Is the way to go.